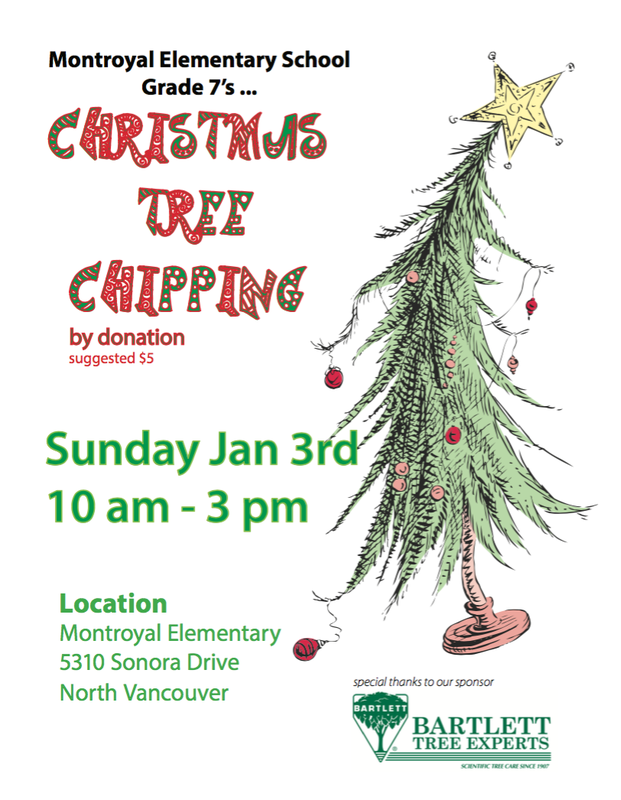 Our Grade 7 students and their families will be hosting a Christmas Tree chipping event for the whole community at Montroyal on Sunday, January 3 from 10am - 3pm. Please feel free to invite your friends, family and neighbours to bring along their trees to be recycled in an environmentally friendly way. Thanks to Bartlett Tree Experts for generously sponsoring this event.